Our shared First Nation Growers (FNG) goal is to initiate long-term, sustainable Indigenous employment, and economic opportunities while creating newfound revenues from within First Nation and Inuit communities themselves by helping each Indigenous Advanced 4Seasons Agriculture community joint venture partner grower strive toward a self-sustaining, circular economy. This will be achieved by producing year-round, chemical and pesticide free foods and Indigenous medicines while utilizing energy solutions that are renewable. FNG will help divert wastes while providing better enhanced NUTRITIONAL streams through net positive employment and economic opportunities from within the community itself. FNG has developed a unique business model in which the company will facilitate and assist other interested and qualified, potential Indigenous Community growers in obtaining a Health Canada LP (Licensed Producer) license in conjunction with operating their community facility. As a result, FNG will become a significant joint venture partner with many Indigenous Health Canada Medicinal Medicines cultivation facilities across Canada. Our untapped market is the Indigenous First Nation and Inuit people of Canada as well as other urban centers. 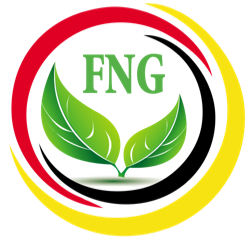 FNG will oversee operations, provide ongoing industry education, training and assist in the development of each grow facility. This management style will enable FNG to regulate each facility to ensure that they maintain the approved operational standards and protocols of Health Canada and implement our own FNG craft grower industry advanced 4Seasons 420 Agriculture system to provide ongoing facility successes. Ultimately, First Nation Growers intends to be in a joint partnership with over 100 Indigenous and urban craft producers throughout Canada within the next seven years! Medicinal Medicines enthusiasts have been on a mission for decades now where it may even be safe to say they have collectively reached the mountaintop. The journey has been long while many now await the fruits of collective legal efforts around the world. Indigenous medicinal medicines and their health benefits have been sought out since contact. At FNG, we have a unique Medicinal Medicines LP craft growers division specially designated to assist Indigenous communities in creating their community circular economy from within through the world’s next multi-billion dollar industry. This is an industry that Indigenous people from around the world have been a part of since the beginning of time, where Indigenous communities and their leadership also have the inherent right to control their destiny and the rights to control their medicinal medicines. FNG has partnered with a certified Health Canada Medicinal Medicines Licensed Producer for Medical Purposes (late stage applicant). We plan to take our FNG Medicinal Medicines business model across the country to ensure Indigenous Communities, and Indigenous Medicinal Medicines for medical purposes facilities are at the forefront of the Health Canada applicant approval process and to eventually have individual Indigenous communities play an active role in the next billion dollar industry, from within Indigenous Communities themselves. Our “craft” facility will create 50-plus full-time, year-round employment positions within the community. These jobs will include above average “city” type wages along with family benefits to ensure economic sustainability for First Nation member families and residents. We will encourage capacity building that includes ongoing training and education for employees and other benefits that allow members, residents and Indigenous peoples to make a quality living wage within their community and the current multi-billion dollar industry of Canadian Medicinal Medicines cultivation for medical purposes. This facility will strictly adhere to and operate within Health Canada guidelines, criteria, and strict security implementations, with a strong and primary focus on producing Medicinal Medicines. An essential component of First Nation Growers business model is to help eradicate the abuse of opiates, methadone, fentanyl and other mainstream prescription drugs including harmful household chemicals that have created a severe crisis in far too many Indigenous communities today. We must eradicate these drugs from within all communities. We are happy to provide our full support of your vision to promote community first new found and or improved economic development opportunities while creating new employment, training, and education opportunities for First Nation employment and economic gains from within their home communities. Our FNG pursuit to improve the holistic well-being of oneself through innovative, and technologically advanced tools to produce enhanced community nutritional streams and other sacred medicines through sophisticated 4seasons Agricultural, growing year-round fresh produce and other natural foods. This system creates economic opportunities and community member jobs through newfound own source revenues invoking the United Nations reaffirmation of our inherent Indigenous rights that includes the personal use of traditional and or sacred medicines which include both medicinal and recreational medicinal medicines products including derivatives thereof for the improved holistic health and well-being of oneself is long overdue. The primary reasons for supporting the venture are the overwhelming endorsement of fresh foods, water, and energy to name just a few the benefits a facility will bring to a community in the form of new employment opportunities and the economic impacts associated with such a unique, exciting venture. Our FNG Advanced 420 Agriculture`s system contributes to the betterment of the lives and livelihoods of all peoples and mother earth. We will need employees on the pure cultivation side of the business, including inside and outside community business development, transportation, and facility 24/365 security staffing to meet the Federal production license guidelines. Also, we need further support staff including maintenance and grounds crew. A living wage from within your community would be a dream come true as for so many; our “living wage” concept is not remotely the same as a minimum wage. The living wage sets a higher test – a living wage reflects what earners in a family need to bring home based on the actual costs of living in a specific community. The concept of the’ living wage’ is a call to private and public-sector employers to pay salaries that are sufficient to provide the basics to families with children. The most basic entry-level position within the FNG Advanced 4Seasons Agriculture facility will be no less than $19.75 per hour. Based on a 44-hour work week, this translates into an annual salary that exceeds $45,000 per year plus benefits. Each community garden facility is scalable to meet the capacity needs of a specific individual Indigenous community, where total annual payroll including benefits for the operations during a full operational year, depending on facility size, could exceed $3,000,000 to $6,000,000 million in wages annually. The majority of this payroll is intended to stay within the First Nation or Inuit community. The economic impact of this infusion of new money will be substantial, and the effect is locally multiplying as expected. All Indigenous communities and project operations personnel will be entitled to crucial ongoing community capacity learning through industry pre-care & after-care training and development. Included with this, is the strengthening of indoor agricultural skills, abilities, instincts, processes, and resources that Indigenous Communities and their members need to survive, adapt, and thrive in our fast and always changing world today. The emphasis will be on producing additional, natural, and nutritious food streams that are geared to First Nation and Inuit people better health, future well-being and their Indigenous family incomes, from within their Anishinabek communities for 7 Generations. Our business model is just that, a business model designed by Indigenous people for Indigenous communities. Our Health Canada approved LP’s will purchase all harvests ensuring no product generated will remain within the community. No harvested product produced stays in the community. We do provide a service to assist individuals with their own Health Canada License approval for Medicinal Medicines use for medical purposes. Our Advanced 4Seasons Agriculture business model will continue to promote capacity development within Indigenous Canada communities through continued training and promotion utilizing the capacities of both community and their membership as we encourage further development for the betterment of themselves, their community and our business model.